In Philadelphia, Everybody Was Doin’ It . . . or Not. 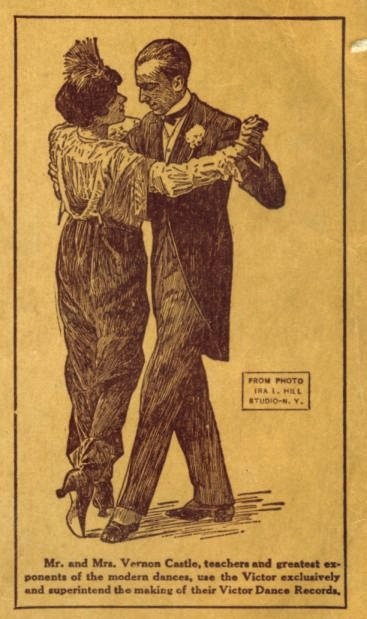 This month I’ll concentrate on dance crazes that swept Philadelphia: the waltz in the late 18th century, the polka in the 19th century and the ragtime mania of the early 20th century. Click on any image for a closer view. 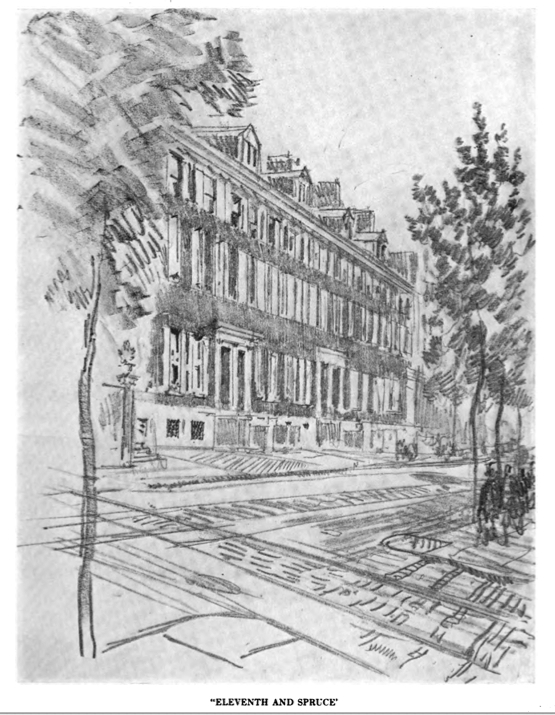 She had grown up in that timeless post-Civil War Philadelphia where “good” Philadelphia families, meaning those residing south of Market Street, sent generations of children to the right dancing school, i.e. Solomon Asher’s Academy at the venerable Natatorium at 219 South Broad Street, below, to learn the correct Philadelphia deportment while doing the correct quadrilles, waltzes and two-steps. Within the next few months universities, clubs and churches all over the Philadelphia region vied in banning these new dances. Riding on the crest of this dance mania were the first American ballroom stars, Vernon and Irene Castle, right. 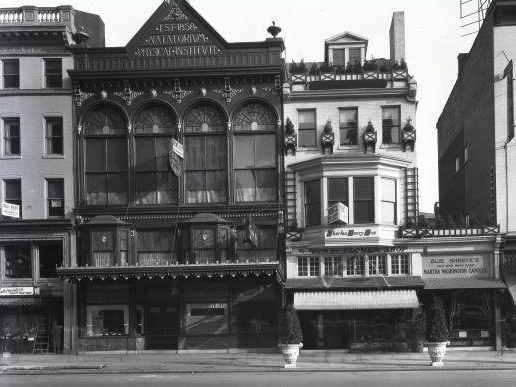 The Castles removed all the objectionable elements from ragtime dances, and shrewdly marketed themselves, their dances and their elegant New York studio to the best society in the city. They warned “Do not wriggle the shoulders. Do not shake the hips. Do not flounce the elbows. . . Remember you are at a social gathering, and not in a gymnasium. Drop the Turkey Trot, the Grizzly Bear, the Bunny Hug, etc. 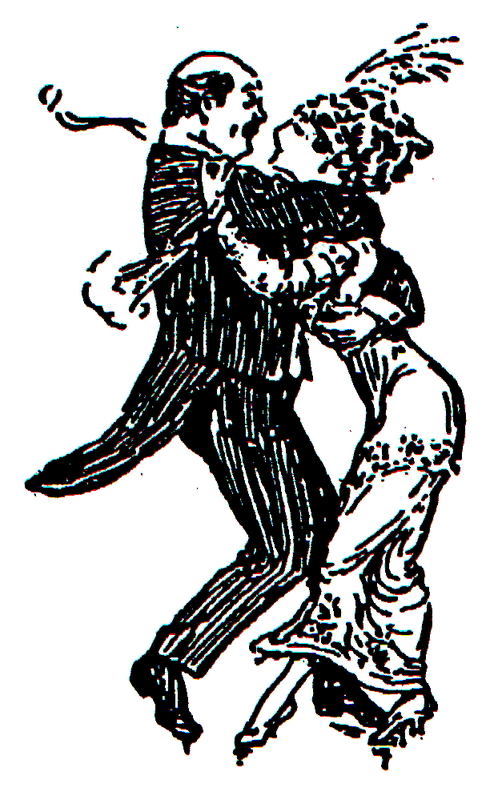 These dances are ugly, ungraceful, and out of fashion.” When they appeared at B.F. Keith’s vaudeville stage at 1116 Chestnut Street in November 0f 1914, the house was sold out and many were turned away as Philadelphians thronged not only to see the newest dances performed by America’s ballroom dance stars, but to catch a glimpse of Irene’s bobbed hair and latest, fashion-setting gowns. 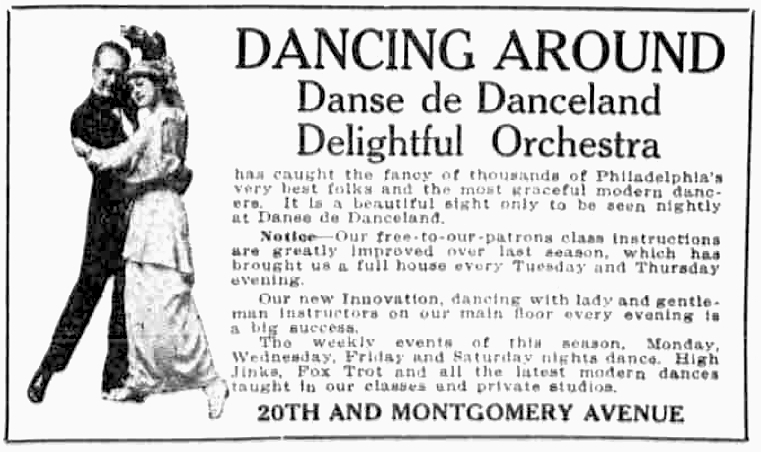 America’s entrance into World War I put a sober end to that incredible “modern dance mania.” When the doughboys returned after the war, something called “jazz” had taken the place of ragtime music. 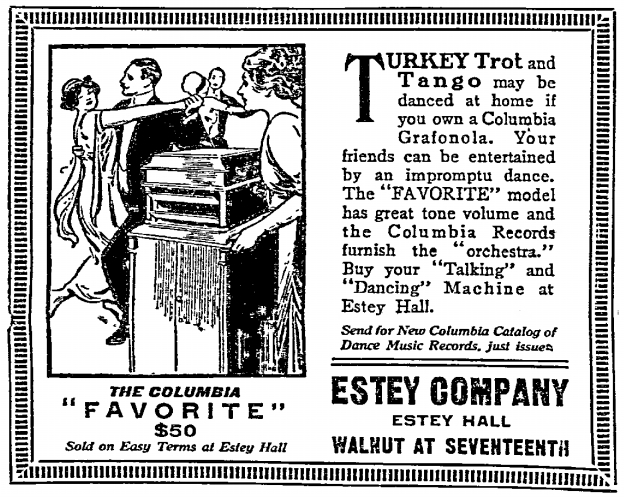 But in those amazing few years before the war, the Turkey Trot, the Grizzly Bear and the Bunny Hug had shaken up traditional Philadelphians, forever changing the way they danced and the kind of music they danced to. 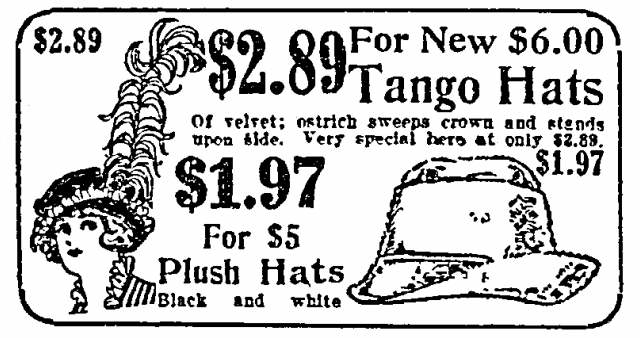 As the story of Marguerite Walz, January 22 post, below, shows us, in the 1920s jazz music and jazz dances like the Charleston along with the impossible task of enforcing of National Prohibition would create new scandals and problems for Philadelphians.